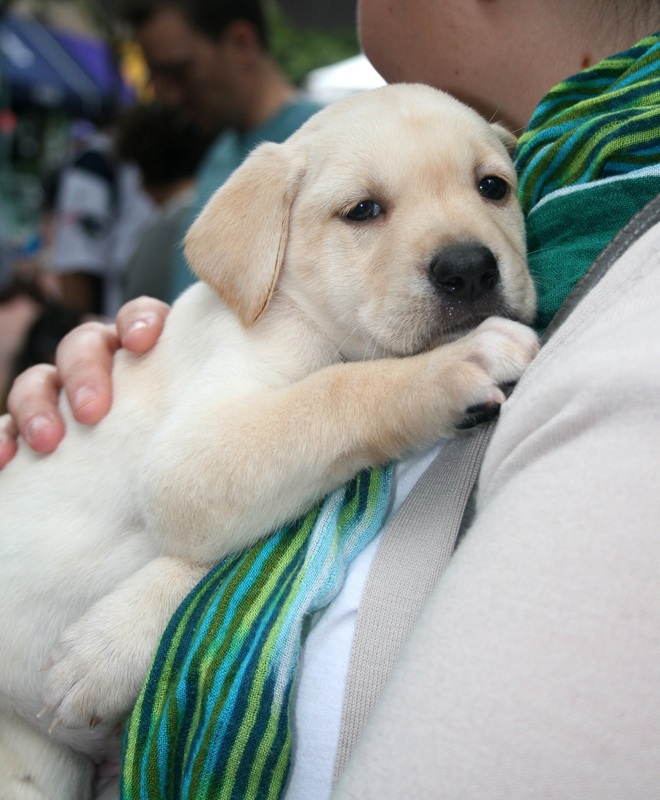 Pet lovers converged on Shirlington Village on Saturday, Sept. 17, to enjoy live entertainment, contests, raffles and the chance to meet some ardorable, adoptable puppies and dogs at Wags & Whiskers and the Animal Welfare League of Arlington’s Animal House. 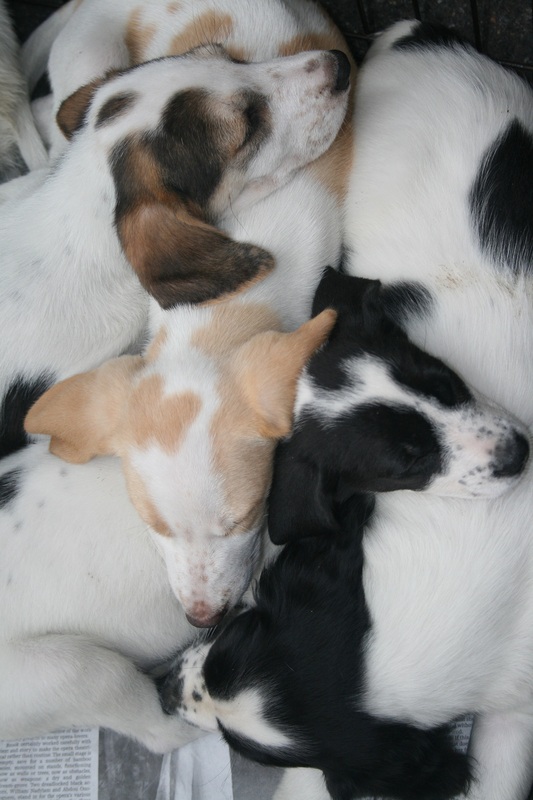 This pile of 10-week-old Pointer mix puppies are adoptable from A Forever Home Rescue Foundation. 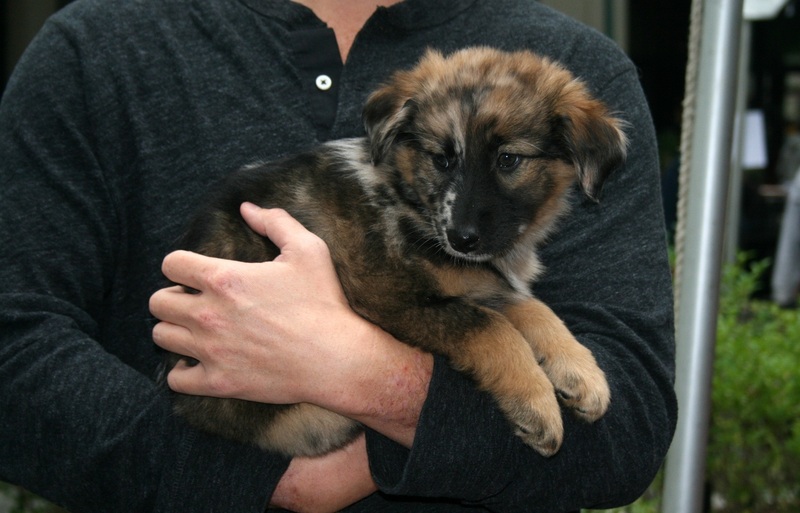 This Australian Shepherd-German Shepherd mix puppy is available for adoption from Homeward Trails Rescue. 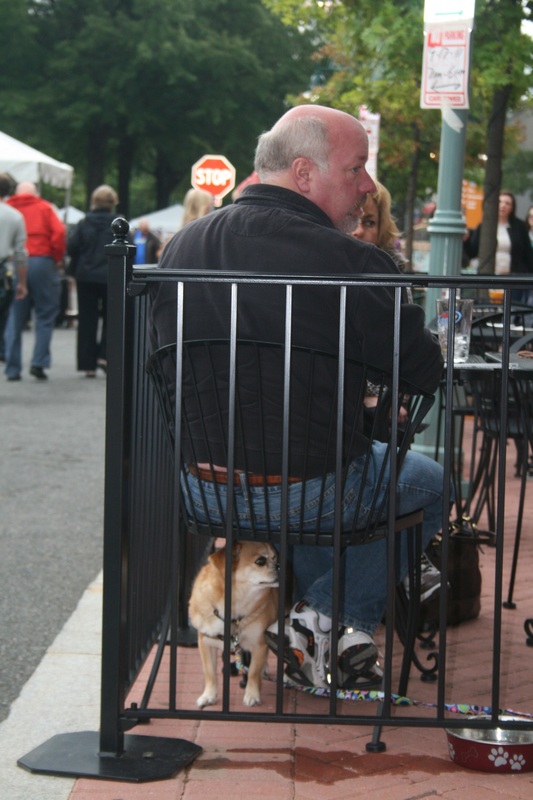 A pup watches the activities while his owners enjoy lunch at Samuel Beckett’s Irish Pub. 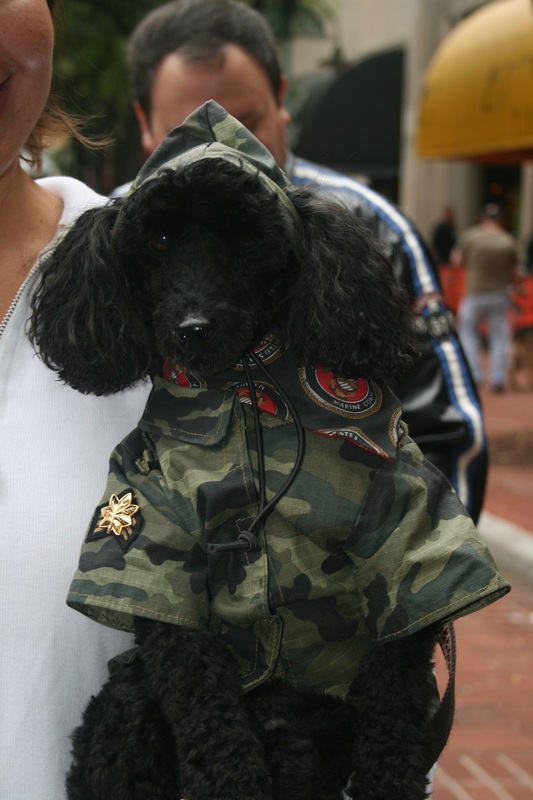 This poodle dressed up in her best military uniform for the event. 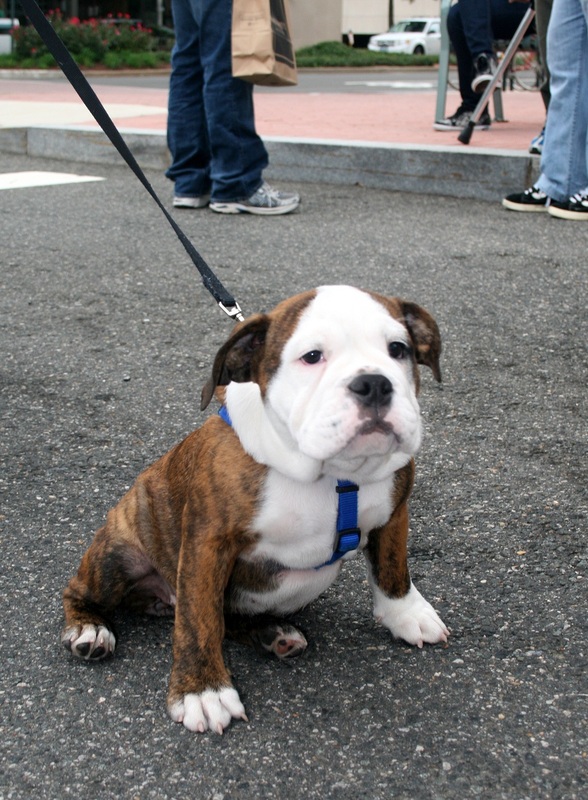 Bulldog puppy Daisy enjoyed the festivities, and a lot of attention from other Wags and Whiskers attendees. 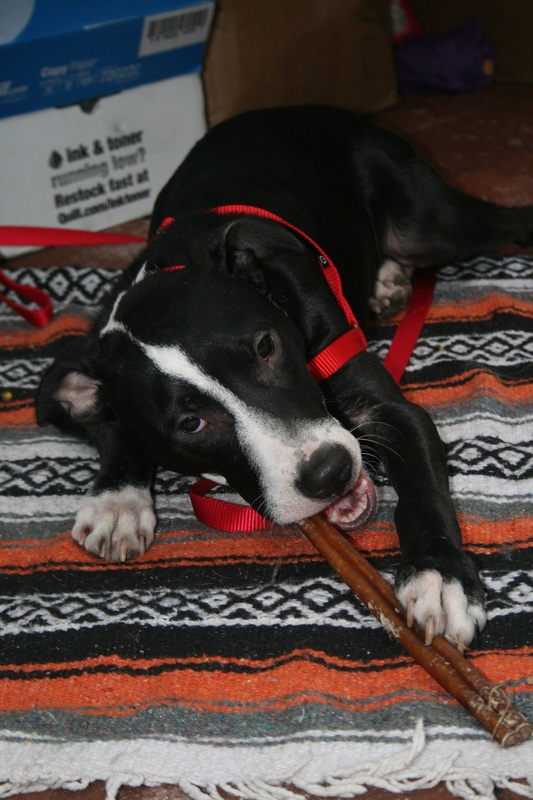 Buckwheat is a sweet, laid-back puppy who happily chewed on a stick in front of the Woofs! Dog Training Center table. He is being fostered at Woofs and waiting for someone to adopt him. 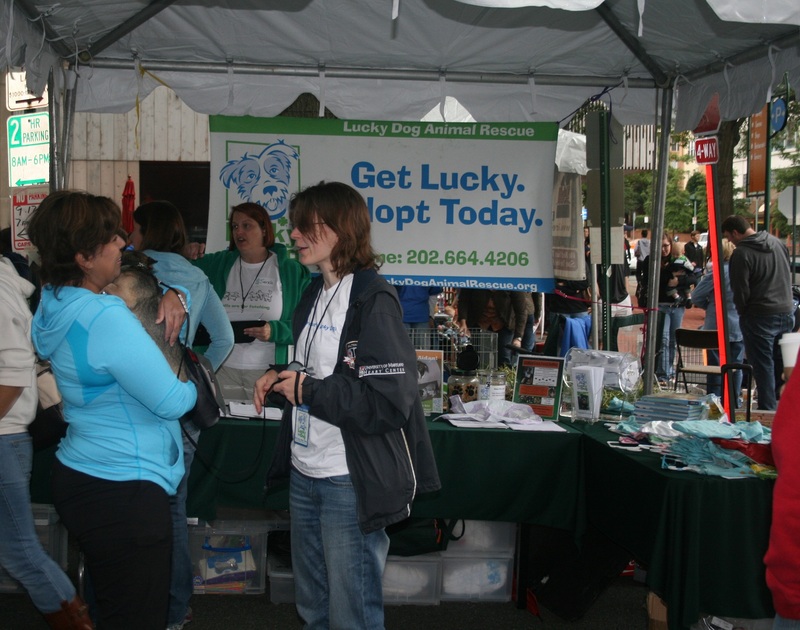 A Lucky Dog Animal Rescue volunteer talks to a potential adopter. 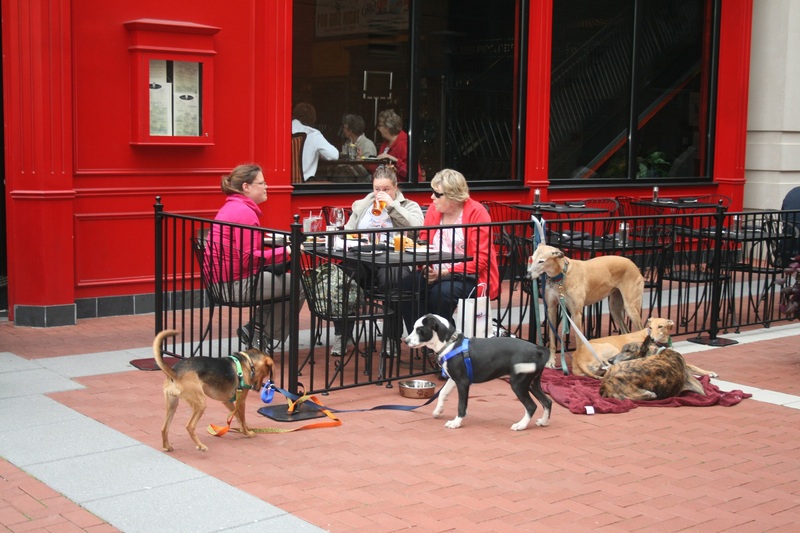 This gaggle of Greyhounds accompanied their owners to lunch at Samuel Beckett’s. 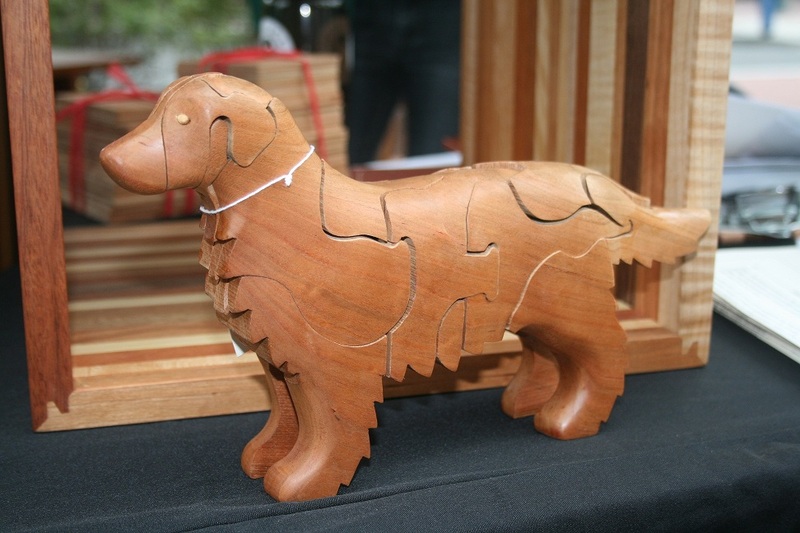 The recently-opened Hardwood Artisans store displayed wooden dog puzzle artwork and dog bowl sets that can be custom-made in a variety of shapes and sizes. 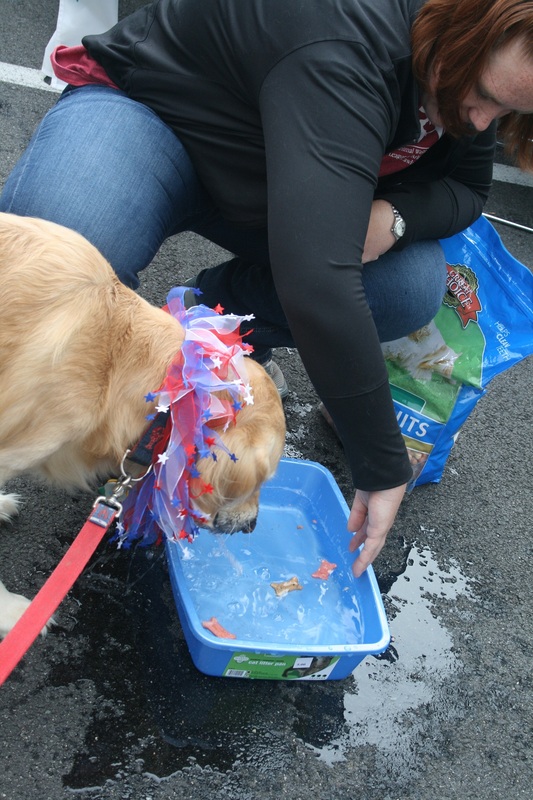 Chatham competed in the bobbing-for-treats contest at the Animal Welfare League of Arlington’s Animal House. She managed to scarf up seven treats in 30 seconds, but it wasn’t enough to beat Sundae’s total of 10 treats. 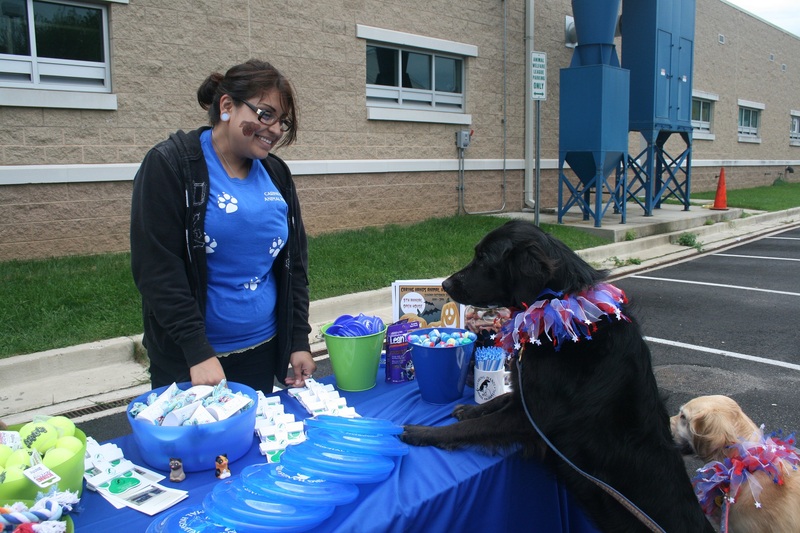 Sundae makes friends with a staffer from Caring Hands Animal Hospital at their booth at AWLA’s Animal House.